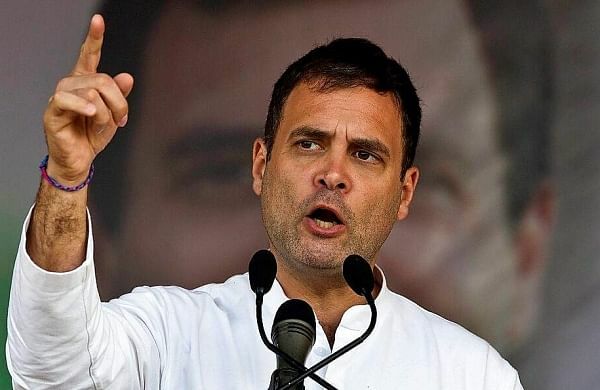 NEW DELHI: Four Muslim former MLAs from Delhi on Sunday wrote to Congress president Rahul Gandhi demanding at least one ticket for seats in the national capital keeping in mind “the sizeable minority population”. Demanding at least one ticket to a Muslim leader, former MLAs Shoaib Iqbal, Matin Ahmed, Hasan Ahmed and Asif Mohmmad Khan signed this letter and handed it over to Delhi Pradesh Congress Committee President (DPCC) Sheila Dikshit. “Keeping in view the large number of Muslim voters and the contribution of these five senior Muslim leaders and their track record of winning elections, there must be one ticket given to any one of above mentioned leaders,” says the letter, written by Iqbal and signed by the other three leaders. The letter also mentions the name of one of three DPCC working presidents, Haroon Yusuf, who has also served as a minister in the Dikshit government. However, he has not signed the letter. “Yes we have written this letter to raise this genuine demand of ours with the party president. I met the DPCC president and gave the letter to her, and she said she will look into it. If a Muslim leader is given a ticket, then it will have an impact on prospects,” said five-time MLA Ahmed.